Energy consumption results in emissions of pollutants. Local pollution, characteristic of urban areas or caused by emissions from an industrial plant (factory, cement works, refinery, etc. ), is converted into regional pollution through accumulation of pollutants in the atmosphere. Energy efficiency (EE) is widely viewed as an important element of economic and environmental policy. However, there is little agreement on specific EE goals and the strategies to attain them. The lack of consensus stems from the fact that there are differing views about the meaning of EE and the means of implementing it. How much one will actually benefit from EE depends on how one approaches the issue. Also, the success in EE improvements depends on how well various actors help each other, and how well their actions are integrated. The present chapter aims to explain the nature and purpose of EE as well as its relation to various actors of the society and the environment. The chapter also presents a short overview of the current debate on EE in which the EE gap and the rebound effects are the main constitutes. The question being asked very often is why consumers and firms do not invest in cost-effective energy efficiency opportunities. Partly, the answer is that consumers and firms discount future savings of energy efficiency investments at rates well in excess of market rates for borrowings or savings. 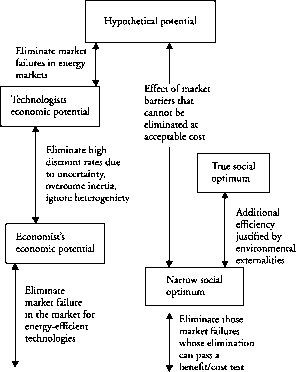 This pattern is referred to as the 'energy efficiency gap'.20 To understand the EE gap, it is essential to study (a) the characteristics of markets for energy-efficient technologies (EETs), (b) the nature of institutional energy-related decision making and (c) the nature of an individual consumer's energy-related decision making. Energy efficiency and clean energy may provide an opportunity to participate and create a new market. Patrick Mazza from Climate Solutions, an advocacy group, suggests that 'Clean energy generation and end-use efficiency represent a USD 3.5 trillion market over the coming 20 years, even with no new public priority'.26 There will be plenty of business opportunities in resource efficiency and productivity in the energy, water, agriculture, transportation and forest product industries. Examples of these opportunities include fuel cells, enzyme-based water treatment systems, precision farming technologies and bio-based fuels and speciality chemicals. It is estimated that the combined value of the resource productivity and efficiency market of these industries exceeds USD 60 billion and is growing rapidly. 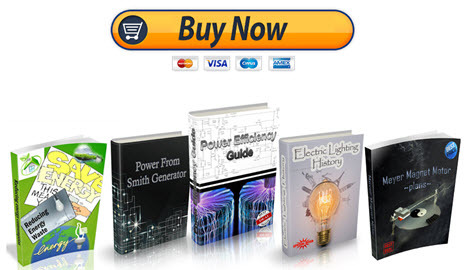 Energy efficiency, on the other hand, may be considered the maturation of energy conservation. It is a more complex and sophisticated concept. Instead of being born during a crisis, it was bred by consolidation and endurance of energy conservation activities. It impels better use of natural resources and, consequently, human and economic development. Through technology and investments, the same processes should use less energy, which means more productivity, less operational costs and environmental impacts. It is a new point of view that must be considered since the conception of the design. Energy efficiency means evolution, doing things right and better in each cycle. This evolution from conservation to efficiency concept was brought about in refineries for many reasons. Given the unsatisfactory results of the income tax compensation approach, in the next scenario the revenues of the energy import tax are used to stimulate energy conservation both in households and in companies. We propose that the additional tax revenues are used in a fund for improving energy efficiency. Thus special programmes to improve the energy quality of buildings and equipment could be launched. Our simulations assume that the energy tax revenues are split between households and companies. Estimates have to be made about the potential-energy saving effect and the impact on investment and non-energy consumption. consumed. We therefore assume that the amount of energy costs saved is used for investments in buildings and equipment with households and with companies. Thus the revenues of the energy fund are sufficient to maintain a 15 per cent reduction in energy flows without reducing the related energy services. Energy market conditions have a significant impact on the viability of EE projects. Fuel availability and prices and projected energy supply and demand are critical factors affecting the profitability of EE projects. Other factors that have to be taken into consideration include (a) energy policies, legislation and regulations, such as EE efficiency standards, labelling practices and building codes (b) the existence of utility restructuring activities and demand-side management programmes (c) specific EE initiatives, such as tax incentives and (d) environmental regulations, such as limits on emissions of energy-related air pollutants, including nitrous oxides, methane, sulphur dioxide and carbon dioxide. The aim of this chapter is to discuss the methods of assessing the advantages and drawbacks of energy-efficient technologies (EET) as well as projects. It is a proven fact that in specific situations and well-chosen energy efficiency (EE) proposals, benefits significantly outweigh drawbacks. However, it is important to mention the perceived and actual disadvantages and complications. In the present chapter, both these aspects are discussed from the perspective of the governments, businesses establishments and households. As the scope of investigation is a global one and the resulting drawbacks as well as benefits emerge out of a specific situation, this chapter should be understood as giving directions of thought rather than empirical evidence. The purpose of this chapter is to help the reader decide which EE programmes would give positive effects, and which would not, based on which he can learn to discriminate between alternative EE proposals. The 1980s saw the emergence of a new energy perspective, which may be termed a paradigm of high energy efficiency, as part of the process of sustainable economic development recommended by the report Our Common Future of the World Commission for Environment and Development (1987). This innovative concept of economic development requires that current economic actions must not impair the economic options of future generations, and therefore energy systems must be redesigned to reduce the use of exhaustible energy resources and limit emissions. An obvious consequence for energy policy is the need to move towards high energy efficiency. 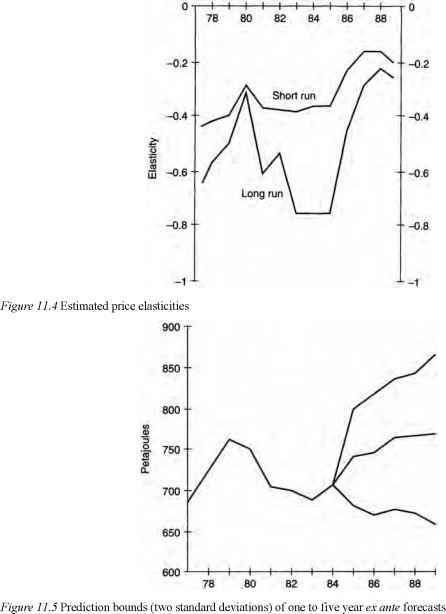 This in turn requires changes in economic incentives, particularly in the price system. The search for lowest-cost production sites has accelerated the development of goods transport and led to a sharp rise in energy consumption by emerging countries. Opening the gas and electricity networks to third parties represents another means of increasing competition. The networks are managed independently of the energy suppliers which use them at the same time. In Europe, the internal energy market must now be open and competitive. This involves separating the transport networks from the production means, under the control of the national regulation authorities. In this globalised economy, investments and the decision processes depend more and more on the international groups in the energy sector, at least during the energy conversion and supply stages. In addition, since the energy policies within the European Union are becoming increasingly integrated, fewer decisions can be made at a purely national level. The fight against global warming will finally always have to end up in reducing GHG emissions. This can be partly achieved by measures at the source of the emissions (direct emissions), for example, by increasing efficiencies of fossil-fired power plants to reduce the amount of CO2 emitted per unit of electrical power produced. Another lever is to influence the demand side that causes indirect emissions, for example, by applying more energy efficient devices, by avoiding or dispensing energy consuming activities. The goal of a CO2 balance is to illustrate and quantify the overall impact of a certain activity or action. In Asia, Japan is totally dependent on imports for its consumption of oil and natural gas, supplied as LNG. China's spectacular economic growth is creating increasing tension on the energy markets, as growth in Chinese demand has created a surge in imports. The dependencies of China and India are tending to increase as their economies improve these two countries deploy the infrastructures and investments designed to favour energy supplies, primarily oil. In addition, China relies heavily on its coal reserves, which has serious implications for the environment. These constraints could encourage this country to further diversify its energy sources, placing more emphasis on natural gas in particular. While the CDM and JI have offered an initial pathway for companies to invest in low carbon technologies, there are key limitations of the mechanisms which prevent the wide ) spread deployment of technology based solutions that reduce energy consumption and GHG emissions. These drawbacks are primarily attributed to the ' project)based' nature of the existing offset mechanisms, making it difficult to demonstrate additionality and select the appropriate baseline scenario, particularly for highly integrated industries such as the chemical process industry. Long term strategies which evaluate the cost of abatement across facilities enable companies to maximize the advantages of emissions trading, particularly where international offsets are available from non-compliant facilities. In regions where biomass is available, further research in the areas of biomass-based routes for high value chemicals which incorporate CHP to maximize energy efficiency will deliver low carbon or carbon negative products to the market. An effective strategy will not only better position companies from climate policy risks but also enable a competitive advantage as more companies fall under compliance obligations. The chemical industry operates at the core of clean technology innovation and will continue to play an integral role towards achieving low carbon solutions in the fight against climate change. 4 International Energy Agency (2007) Tracking Industrial Energy Efficiency and CO2 Emissions, IEA, Paris, France. With regard to sustainable behavior or energy use, feedback interventions provide information about resource use or abuse with the inherent chance to become aware of the problem as well as the encouragement to act as desired. Literature shows convincing confirmation for the effectiveness of feedback measures to promote environmental sustainable behavior. Studies, which compared daily energy consumption of households with and without feedback, found energy savings up to 20 (e.g., 29-31 ). In most cases, technical devices such as displays are used for feedback because they provide the relevant information (e.g., energy consumption in kilowatt or per hour) directly and on time. This creates the chance to almost automatically modify behavior and change energy use patterns. However, interpersonal communication with oral praise or critical reactions of superiors, coworkers, customers or friends is equally suited as feedback to change behavior. Before an energy awareness program can be planned, organized and implemented, it is necessary to have a concrete assignment for it. The general ultimate goal, to reduce the amount of energy consumption through the implementation of an energy awareness program, has to be clear as well as who is responsible and carries out the project. What department is in charge, is it a team or single person effort Who leads, to whom will the process be reported and how does the decision process work Are responsibilities within the planning committee of the project shared and if so how Many answers to the above questions depend on the size of the organization and the scale of the program. Information events can include general information about the climate change, energy conservation, possible chances and advantages but also specifics of the pre-analyses of the plant's energy management (e.g., current energy use, potential savings, measures, advantages, and efforts), the energy matrix, benchmarks, and ideas as well as decisions of the management. The business case for energy efficiency is clear it reduces energy costs, diminishes vulnerability to increasing energy prices and reduces CO2 emissions. It is equally effective to invite an external expert or celebrity to present climate change and energy issues. The participation and active support of the upper top management also shows the significance of the program. With this procedure, gratitude is provided and desirable examples are given to colleagues and co- workers, motivating them to engage in the same or similar behavior (copying effect) or even compete to get the honors themselves. The award should focus on public appreciation and tribute, if at all combined with a small prize. Stern 53 as well as Katzev and Johnsons 54 report that small or weak incentives are often more successful than large or strong ones in inducing increased energy efficiency because the first tend to suggest that the behavior is internally, rather than externally, motivated, which results in a greater commitment to act. A smaller prize enables the copying of desired behavior more by choice than by the pull of a greater incentive. It seems difficult to deny the developing countries the right to better welfare, which cannot be obtained without energy consumption. It is nevertheless possible to conceive new ways of living offering better welfare and quality of life, while moderating energy consumption. The first step in the idea generation phase is a brainstorming session with the partners in the plant. Often we combine this brainstorming session with the Milestone 1 meeting described in Section 4.3.6) This procedure guarantees that the plant staff is involved at an early phase of the project. Operators on the plants know their plant very well and normally have many ideas for energy saving. It is important to involve them and accept these ideas if possible. Our experience shows that ideas generated by the operators have a better chance of being implemented in a sustainable manner than ideas imported from outside. Figure 4.8 Fields of energy savings. Significance of energy efficiency Figure 4.8 Fields of energy savings. An energy saving project is incomplete if it does not consider the energy and utility generation and distribution. In our workflow we regard the generation and distribution of the following utilities An example A customer wanted to increase the capacity of a plant, which was provided by its own power house. The proportional calculation of the energy demand with the capacity led to the investment in an additional gas turbine. We performed an energy efficiency project in parallel to the de-bottienecking project. The result was that the plant with extended capacity could be provided with steam and electricity by the existing turbines. We had to design some modifications in the power house, but the savings in comparison with a new turbine were enormous. In the last 20 years Bayer, like other chemical companies, has shown a strong commitment to reduce the GHG emissions of its production facilities. As a result, between 1990 and 2007 the company managed to reduce its direct and indirect GHG emissions by 37.2 or 4.5 million tons of CO2 equivalents. 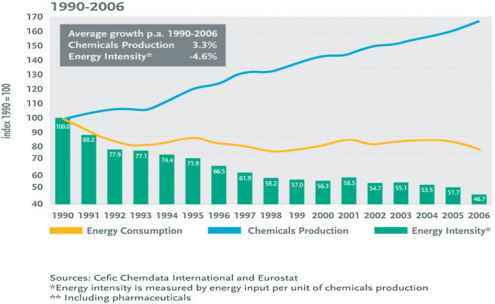 The total energy consumption of the Bayer group in 2007 equaled 91.7 Petajoule (that means 25.5 Terawatthours). This tool is particularly useful for retrofitting studies. The methodology identifies the critical points in the process related to energy consumption, raw materials consumption, water consumption, environmental impact reduction and safety. Once those points are identified, sustainable design targets are set and new process (retrofit) alternatives that match the targets are generated and evaluated to identify the optimal more sustainable process design.